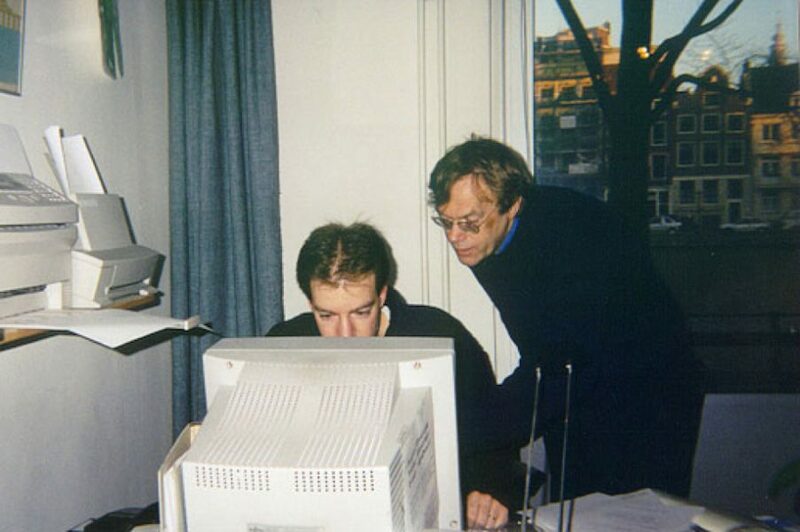 In 1995 Geer Koopmans and Hans Karssenberg invested fifty Dutch guilders in an office table and started Stipo as an independent bureau. New ideas about urban development at the University of Amsterdam led to the establishment of STIPO. Lecturer Geer Koopmans and newly graduated Hand Karssenberg were keen to put these new ideas into practice. At that time they were inspired by the quest for effective sustainability, which still inspires us today. Together with them we focus on: Durable quality reflecting the wishes of the time, the soul of the place with distinctive character in which people continue to want to invest, stratification multiple and diverse use for a fair and inclusive city, public quality where the public space is a place for interaction and the plinths are the leitmotif in the surroundings, ownership of the people, entrepreneurs and users of the place. We do this together with initiators, residents, entrepreneurs, owners, investors, government authorities and other knowledge partners. We combine doing and thinking, theory, practice, implementation and strategy, lived and planned city, bottom-up and top-down. We speak the language of initiators and the language of established investors and authorities. It is in this very combination that the basis for long-term quality lies. Because the living environment cannot be captured in one single discipline we have created an interdisciplinary team covering urban planning, urban psychology, politicology and management. inspiration we collect wherever possible so that as many people as possible can profit from this in practice in their work. For this reason our work does not fall under copyright but under the Creative Commons Licence CC BY-SA 3.0. This means you are at liberty to share and edit our work provided you mention our name and do so equally and under equal conditions. including other public developers and urban developers with additional expertise ranging from the planned economy to managing vacant buildings. Initiators in the field, artists and creative individuals, social enterprises. Knowledge partners such as universities, architecture centres and national expertise centres like Platform31 or Pakhuis de Zwijger. International partners: UN Habitat, Future of Places, PPS.org and Gehl Architects.